Dr Peter Warburton is one of the UK’s leading independent economists and author of an insightful and prescient book Debt and Delusion, first published in 1999, which argued that policymakers and investors alike were becoming complacent about the systematic buildup of debt across the global economy – a deepening problem that finally erupted with devastating consequences in the global financial crisis of 2008. Now eight years on from that crisis, he has revised and updated his research and in an exclusive interview discusses his latest findings. The problems of over-indebtedness, he argues, remain with us and indeed are getting worse. Central bankers urgently need to wise up to the problem before it is too late – and investors who fail to prepare for the potentially damaging consequences of the next phase in the debt cycle will suffer heavy losses. 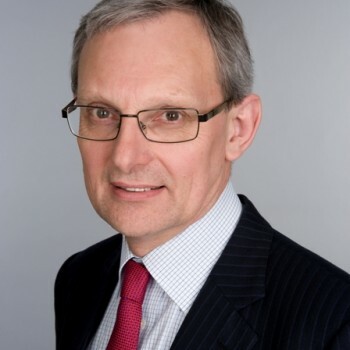 Dr Warburton is the founder of Economic Perspectives, a professional research and consultancy firm, a member of the Shadow Monetary Policy Committee and economic adviser to Ruffer LLP. This 30-minute podcast is the first in the latest series of free regular interviews with prominent figures in the investment world, brought to you by Money Makers. You can sign up here to be notified about the next podcasts in the series, which are free to air – or subscribe on iTunes and other podcast services. Jonathan Davis, the founder of Money Makers, is also the founder of Independent Investor, a sister publishing and newsletter business. An active professional investor, he is a Senior Adviser at Saunderson House, a Member of the Chartered Institute for Securities and Investments and the author of several books about professional investors. More details at www.independent-investor.com.